The new and disturbing details have been presented during Guzman’s trial at the U.S. Federal Court in Brooklyn, New York on Friday. The witness, his former personal secretary Alex Cifuentes Villa, said that he would sometimes help Guzman incapacitate the girls by placing a “powdery substance” in their drinks, the New York Times reports. Balarezo also examined the timing of the documents. “It is unfortunate that the material was publicly released just before the jury beginning deliberations,” he continued. Judge Brian Cogan opened the records in response to a request by Vice Media and the New York Times. Guzman’s late secretary Cifuentes claimed that the young girls were brought to the drug lord by a woman named only as “Comadre Maria.” She “regularly” sent photos of girls for Guzman to pick from, and would supposedly send his selections to his home in the mountains to join in sexual activity for a fee of $5,000. “Comadre Maria” was brought up another point in the trial, for her alleged role as a mediator when Guzman reportedly paid a $100 million bribe to former Mexican President Enrique Pena Nieto. Guzman, 61, has been on trial since November when he was extradited to the United States to face a litany of charges. 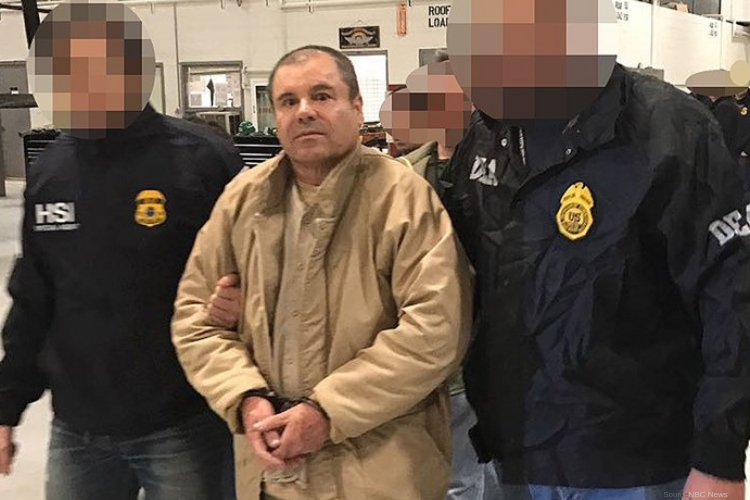 America is accusing him of leading the Sinaloa drug cartel, primarily considered to be one of the most powerful and ruthless criminal organizations in existence. He is facing ten total charges, including involving in a continuing criminal enterprise, conspiracy to launder narcotics proceeds, worldwide distribution of cocaine, heroin, marijuana, and additional drugs, and use of firearms. Guzman pleaded not guilty to all charges. The jury begins discussion on Monday after hearing from a total of 57 witnesses: 56 given by the prosecution and one called by Guzman’s defense team. He risks life in prison if found guilty.